This boat decking is for those seeking that traditional teak look without the hassle. This material has the deep, rich, look of freshly oiled teak, complimented with the traditional black caulk lines we’ve all come to respect. This boat decking is for those seeking that traditional teak look without the hassle. This material has the deep, rich, look of freshly oiled teak and is complimented with the traditional black caulk lines we’ve all come to respect. This deck material has a shiplap edge for ease of use and was designed with the Do-It-Yourselfer in mind. The shiplap edges allow each plank to fit securely next to its neighbor, without gaps. 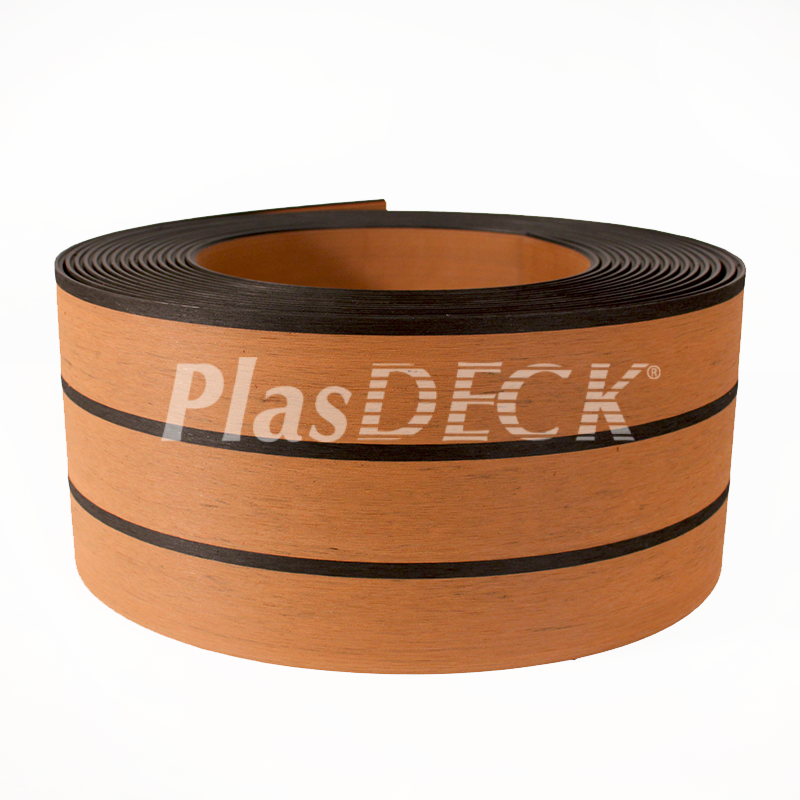 Each strip of PlasDECK E-523 is fit to the next to form the body of the deck. As the strips are pushed together the glue fills the small crevice between, making it a solid panel. Each piece is 6” wide and 32’ long (16 square feet, 1.5 square meters).